Frontal fibrosing alopecia (FFA) is a condition that causes hair loss (alopecia) at the front of the scalp and near the temples. Treatment of the condition varies, although none can restore hair that has already been lost. The condition can also cause hair loss on the eyebrows, underarms, and other areas of the body where there are hair follicles. The condition is most common in post-menopausal women but can also occur in women and men of all ages. 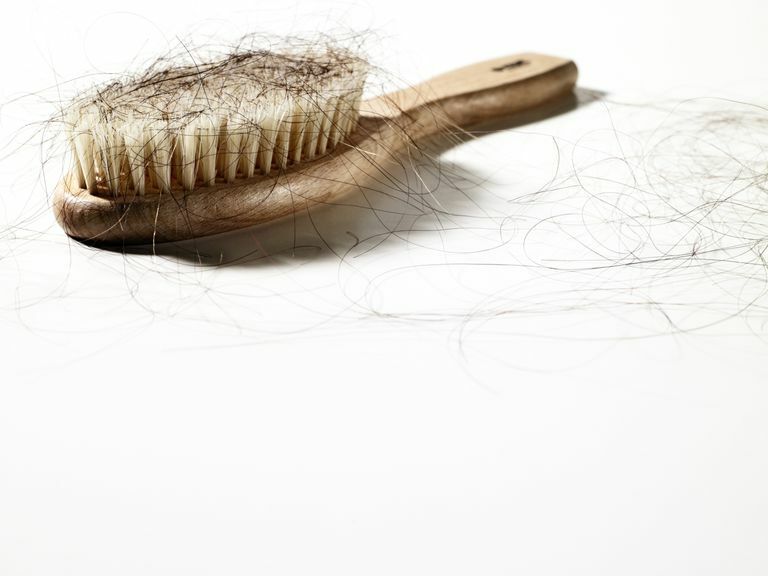 In addition to hair loss, FFA can cause itching and pain in some cases. FFA was only first described in 1994 but is today being seen with increasing frequency. The hair loss pattern is often described as a "lonely hair sign," an allusion to having one hair in an area of none. To confirm the diagnosis, a dermatologist may need to perform a biopsy to examine the hair follicles and cells around them. The exact cause of FFA is still the subject of on-going research. It is likely that both hormonal changes and the immune system play a role in its development. The fact that it is mostly seen in post-menopausal women strong supports the belief that hormones and hormonal balance contribute to the disorder. FFA is considered a subtype of another disease called lichen planopilaris (LPP), an autoimmune disease that leads to progressive hair loss. The microscopic appearance of FFF closely resembles that of LPP, suggesting that autoimmunity may also play a part. In fact, one study in 2012 found that as many as 30 percent of people with FFA had some form of autoimmune disease. The course of FFA can be variable and frustrating. It is typically a slowly progressive disease, with some people experiencing on-going hair loss while others have it for shorter periods of time. Because FFA is a scarring form of alopecia, hair follicles that are lost do not grow back. There is no standard treatment for FFA. The use of strong steroids, either applied topically or injected into the scalp, has had some success. Others, meanwhile, have turned to finasteride or dutasteride, both of which are used to treat an enlarged prostate by effectively blocking testosterone production. Certain antibiotics like doxycycline and minocycline can be also used. While FFA itself is not caused by an infection, these drugs can be beneficial in reducing the associated inflammation. Hydroxychloroquine, prescribed for everything from lupus to rheumatoid arthritis, has also shown promise. Several treatments are usually required to increase the beneficial effects. While treatments like these have been able to halt or slow progression of hair loss, there is no therapy yet that can reverse the condition. As such, early intervention is still considered the best way to reduce the disheartening impact of FFA. Postmenopausal, K. "Frontal Fibrosing Alopecia: Scarring Alopecia in a Pattern Distribution." Arch Dermatol. 1994;130:770-774. Ladizinski, B.; Bazakas, A.; Selim, M.; et al. "Frontal Fibrosing Alopecia: A Retrospective Review of 19 Patients Seen at Duke University." J Am Acad Dermatol. 2013; 68:749-755. MacDonald, A.; Clark, C.; and Holmes, S. "Frontal Fibrosing Alopecia: A Review of 60 Cases." J Am Acad Dermatol. 2012; 67:955-961. Vano-Galva, S.; Molina-Ruiz, A.; Serrano-Falcon, C..; et al. "Frontal Fibrosing Alopecia: A Multicenter Review of 355 Patients." J Am Acad Dermatol. 2014; 70:670-678.